August 17, 2010 March 30, 2019 - by Leon Hammack - 93 Comments. This week NASCAR rolls into the tiny town of Bristol, TN. WOMR thought that a little historical look back at the beginnings of what is now “The Colosseum of Crash” just might be in order. Many fans may not know of the founding fathers of Bristol and the trials and tribulations of its infancy. Bristol Motor Speedway could very easily have opened in 1961 under a different name. The first proposed site for the speedway was in Piney Flats but, according to Carl Moore, who built the track along with Larry Carrier and R.G. Pope, the idea met local opposition. So the track that could have been called Piney Flats International Speedway was built five miles down the road on Hwy. 11-E in Bristol, TN. The land, upon which Bristol Motor Speedway is built, used to be a dairy farm. Larry Carrier and Carl Moore traveled to Charlotte Motor Speedway in 1960 to watch a race and it was then that they decided to build a speedway in Northeast Tennessee. However, they wanted a smaller model of CMS, something with a more intimate setting and opted to erect a half-mile facility instead of mirroring the 1.5-mile track in Charlotte. Work began on what was then called Bristol International Speedway in 1960 and it took approximately one year to finish. Carrier, Moore and Pope scratched many ideas for the track on envelopes and brown paper bags. Purchase of the land on which BMS now sits, as well as construction of the track, cost approximately $600,000. The entire layout for BMS covered 100 acres and provided parking for more than 12,000 cars. The track itself was a perfect half-mile, measuring 60 feet wide on the straightaways, 75 feet wide in the turns and the turns were banked at 22 degrees. Seating capacity for the very first NASCAR race at BMS, held on July 30, 1961, was 18,000. Prior to this race the speedway hosted weekly races. The first driver on the track for practice on July 27, 1961 was Tiny Lund in his Pontiac. The second driver out was David Pearson. Fred Lorenzen won the pole for the first race at BMS with a speed of 79.225 mph. Atlanta’s Jack Smith won the inaugural event, The Volunteer 500, at BMS on July 30, 1961. 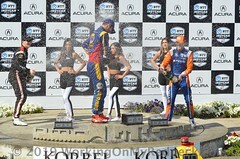 However, Smith wasn’t in the driver’s seat of the Pontiac when the race ended. 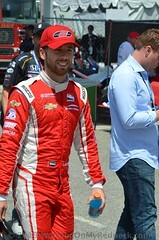 Smith drove the first 290 laps then had to have Johnny Allen, also of Atlanta, take over as his relief driver. The two shared the $3,225 purse. 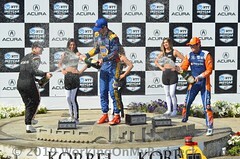 The total purse for the race was $16,625. Country music star Brenda Lee, who was 17 at the time, sang the national anthem for the first race at BMS. A total of 42 cars started the first race at BMS but only 19 finished. In the fall of 1969 BMS was reshaped and re-measured. The turns were banked steeper and it became a .533-mile oval. The speedway was sold after the 1976 season to Lanny Hester and Gary Baker. In the spring of 1978 the track name was changed to Bristol International Raceway. In August of 1978 the first night race was held on the oval. On April 1, 1982 Lanny Hester sold his half of the speedway to Warner Hodgdon. On July 6, 1983, Warner Hodgdon completed 100 percent purchase of Bristol Motor Speedway, as well as Nashville Speedway, in a buy-sell agreement with Baker. Hodgdon named Larry Carrier as the track’s general manager. On January 11, 1985, Warner Hodgdon filed for bankruptcy. After Warner Hodgdon filed for bankruptcy, Larry Carrier formally took possession of the speedway and covered all outstanding debts. In August of 1992 BMS became the first speedway to host a Winston Cup event that boasted a track surface that was all concrete. On Jan. 22, 1996, Larry Carrier sold the speedway to Bruton Smith at a purchase price of $26 million. At the time of the sale, the facility seated 71,000. 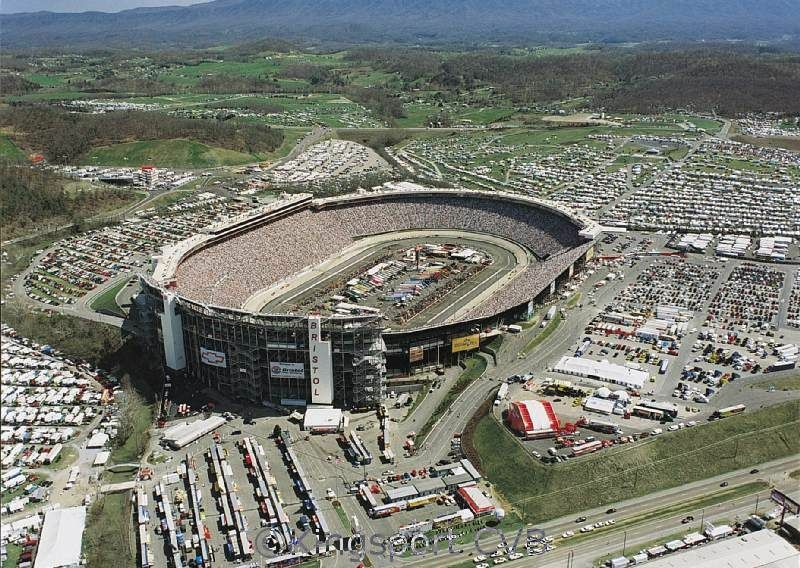 On May 28, 1996 the track’s name was officially changed to Bristol Motor Speedway. By August of 1996, 15,000 seats had been added bringing the seating capacity to 86,000. BMS continued to grow and by April of 1997 was the largest sports arena in Tennessee and one of the largest in the country, seating 118,000. The speedway also boasted 22 new skyboxes. For the August 1998 Goody’s 500 the speedway featured more than 131,000 grandstand seats and 100 skyboxes. Improvements to the speedway since Smith took possession are in excess of $50 million. The seating capacity for the Food City 500 in March of 2000 was 147,000 as the Kulwicki Terrace and Kulwicki Tower were completed. As has been the case since the SMI purchase of BMS, improvements continued in and around the Speedway. The 2002 season saw the addition of a long-awaited infield pedestrian tunnel, allowing access into and out of the infield during on-track activity. Also in 2002, a new building was constructed in the infield to house driver meetings. The 2002 season also witnessed the christening of a new BMS Victory Lane atop the newly constructed building. Kurt Busch won the 2002 Food City 500 on March 24 and became the first Winston Cup winner in the new BMS winner’s circle. Additional improvements in 2002 included new scoreboards located on the facing of the suites in Turns 2 and 3. On Monday, August, 26, 2002, work began on an ambitious project that would see the entire backstretch, including the Speedway’s remaining concrete seating, demolished in favor of a new backstretch grandstand that would increase the track’s seating capacity to approximately 160,000. The backstretch now includes three levels of seating and features 52 luxury skybox suites. In March of 2004, Kurt Busch collected his third straight win on the high banks with a win in the Food City 500. In August of the same year, Dale Earnhardt Jr. made his first trip to Bristol’s Victory Lane in the Food City 250 Busch Series race. He did not wait long to make a return visit, winning the Sharpie 500 the following night and completing the Bristol sweep. The addition of 50 extra laps could not stop Kyle Busch from taking home top honors in the 2006 Sharpie MINI 300 Busch Series event. His brother, Kurt, completed the Busch brothers’ dominating weekend by collecting his fourth Bristol Cup Series win in the Food City 500. In August, Mark Martin became the first driver to win Bristol races in each of NASCAR’s top touring series when he won the Craftsman Truck Series O’Reilly Auto Parts 200. March 2007 brought several milestones to the World’s Fastest Half Mile. The Food City 500 marked the 50th consecutive NEXTEL Cup Series race sellout at Bristol Motor Speedway, a streak that began in August of 1982. The Food City 500 also featured the debut of NASCAR’s Car of Tomorrow. 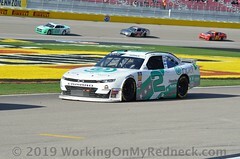 The new car, a redesign of the race vehicle used in the Cup Series, was promoted as a step forward in terms of safety and more competitive racing. Kyle Busch claimed the checkered flag by half-a-car length over Jeff Burton, and in doing so, was the last driver to win on Bristol’s original concrete surface. On Monday, March 26, 2007, work crews began removing the racing surface, a move necessary due to the age and wear beginning to show around the tricky Tennessee track. 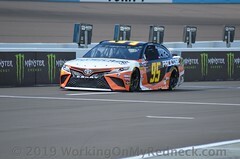 The new surface was completed in time for Todd Bodine to make the first laps around the facility during Craftsman Truck Series testing on July 23. A series of late model events was contested throughout the summer to ready the new concrete for the August race weekend. So now you know the historical beginnings of the Bristol Motor Speedway, And as always, WOMR looked it up so that you wouldn’t have to! Previous Article This Bud’s for Harvick!